Great low C bass clarinet for the price. Horn breaks down to five pieces with two piece stem. Very responsive action from plated keys and blue steel springs. Full rich sound down to low C makes this instrument useful and I variety of situations. Mouthpiece, ligature and cap come with the horn. Can be played with use of a neck strap and with include floor peg. Comes with a sturdy case. 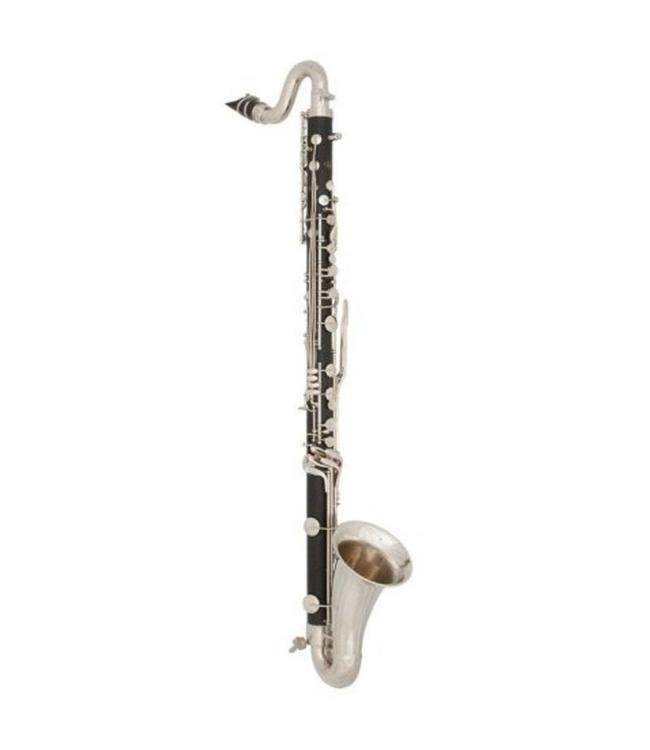 Very affordable bass clarinet. One piece composite stem with silver neck and bell. Plated keys and blue steel springs. C,F and E keys on both left and right sides with low Eb on right hand only. This horn can be played using strap hook or with included floor peg. Included with purchase is a mouthpiece cap and ligature. A sturdy protective case comes with the instrument.